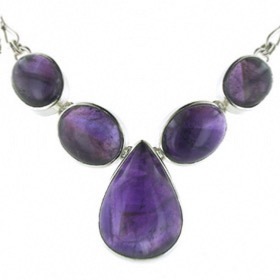 If you're looking for an amethyst statement necklace to steal the show, you just found it. 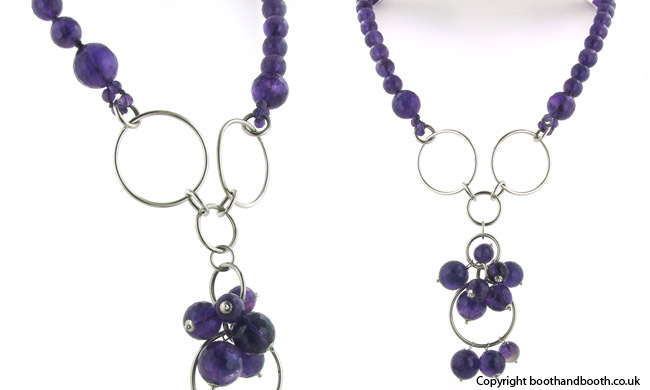 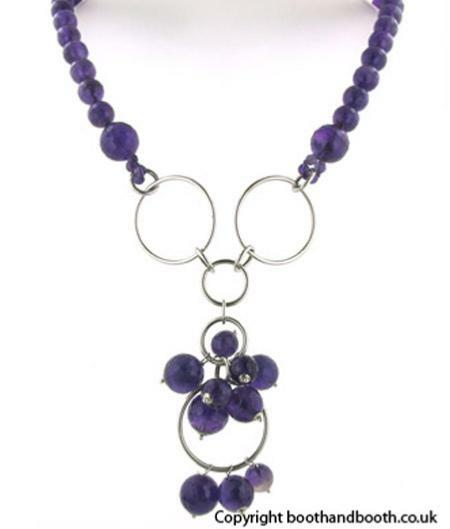 Created with faceted amethyst beads into a fabulous design the necklace sits perfectly inside necklines and looks exceptional with evening wear. 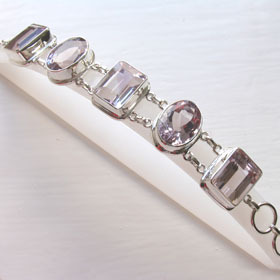 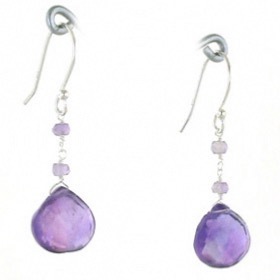 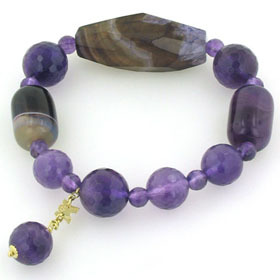 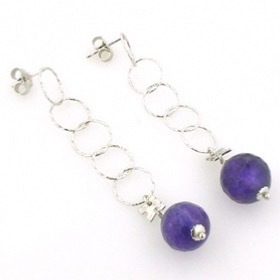 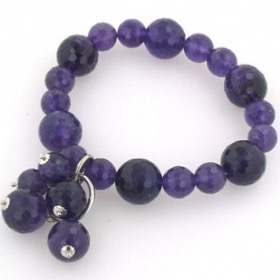 The amethyst beads are round with numerous facets which sparkle as they catch the light. 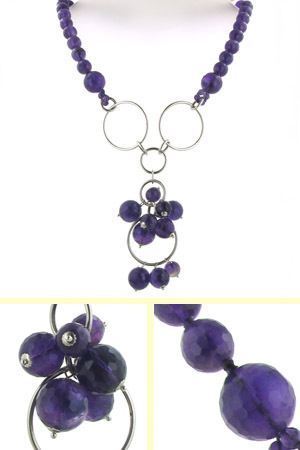 The pendant is created with interlocking sterling silver rings and festooned with more beautiful amethysts. 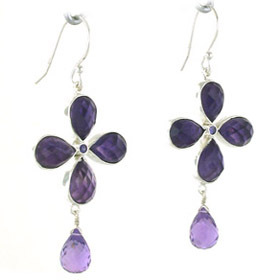 So beautiful, we bought matching earrings and a must have bracelet - see below! 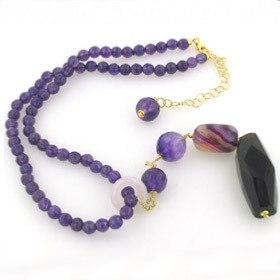 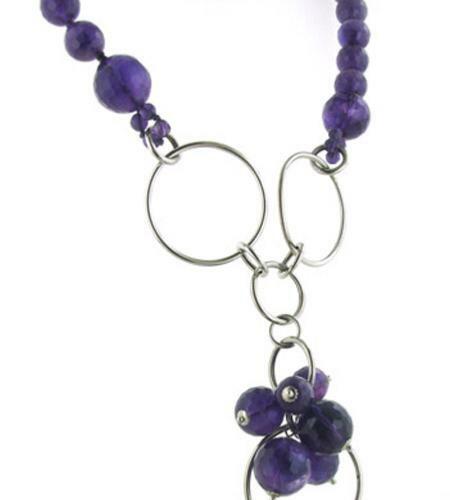 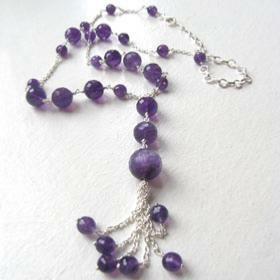 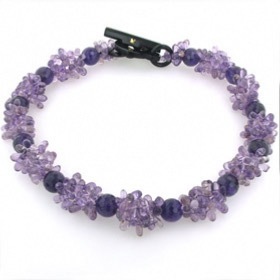 This amethyst necklace delivered free in the UK with any other amethyst jewellery. 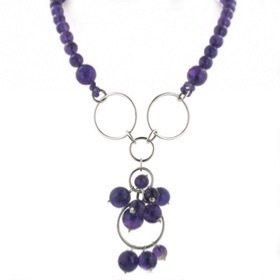 This amethyst necklace is made in Italy by Rajola and gift wrapped in beautiful branded packaging.